With five major festivals and a variety of smaller events throughout the year, there is always something fun happening in Geneva. Geneva Restaurant Week is pleased to highlight culinary excellence by offering an entire week of delicious discounted dining at some of Geneva’s finest restaurants! No coupon or ticket is necessary. Just mention to the server at one of the participating restaurants that you would like the Restaurant Week offering. An evening full of fine wine, delicious treats and live auction sounds like a perfect night and goes a long way toward planting more parkway trees in downtown Geneva. Fundraiser tickets can be purchased online. Geneva celebrates going green with the City's Natural Resources Committee and Geneva Park District's Earth Day festivities at Peck Farm Park. Residents can purchase rain barrels, receive a bicycle safety check, learn best "green" practices and more. Bring the family for children's games and activities. The French Market brings farm fresh produce, fresh flowers, baked goods, jewelry, handbags and more to downtown Geneva every Sunday from mid-April to mid-November. The market is held from 9 a.m. to 2 p.m. in the parking lot of the Metra Train Station at Fourth and South streets. Geneva’s largest festival features a host of family-friendly activities with live musical entertainment, a carnival, Kids’ Day fun, Sweden Väst, a Grand Parade, multi-ethnic food plus great shopping in our historic downtown. Geneva’s train station is located just blocks from the festivities. 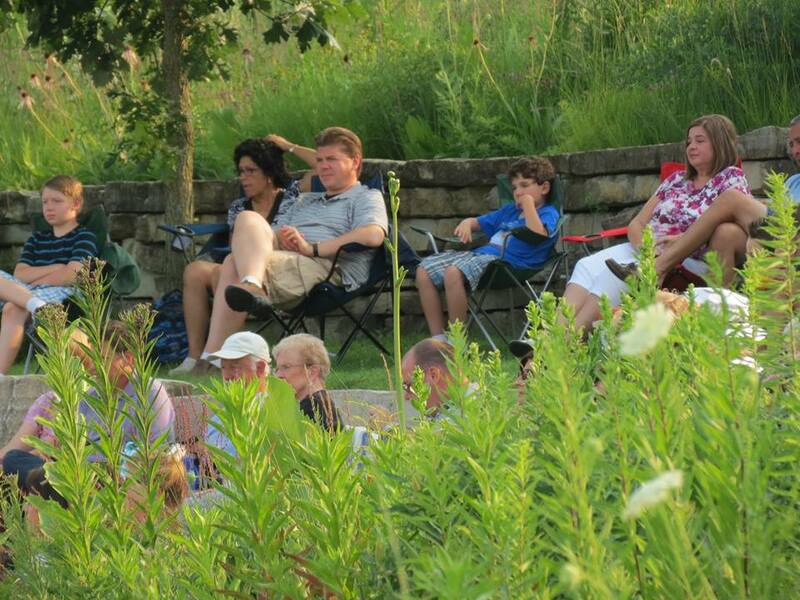 Enjoy a night of comedy and culture along the Fox River at Island Park, starting at 6 p.m. Stone Soup Shakespeare will perform a 90 minute version of the Taming of the Shrew for the whole family. Bring your own lawn chair, blanket, and picnic dinner. A variety of musical performances are held during this free event on Sunday evenings in July at the RiverPark Amphitheater on North River Lane and Peyton Street (151 N. River Lane). In case of rain, performance will take place at Geneva United Methodist Church, 211 Hamilton Street. More than 140 artisans in a host of mediums from around the country are showcased along Third Street in downtown Geneva. Free admission; includes a children’s art area. Check out the shining chrome and gleaming engines of antiques, custom build, sports and muscle cars along with food, music and a DJ; free admission. Fourth & James streets (Courthouse Parking Lot). Classic car enthusiasts will gather together again this year in Geneva, Illinois to view a beautiful collection of antique, classic and modern automobiles. Participants from all over the country will display their prized automobiles on Third Street hoping to be awarded one of the coveted "Benz" trophies. The 43rd Annual Fox Valley Folk Music & Storytelling Festival will have eight stage areas filled with national, regional and local music acts. Patrons also will enjoy hands-on workshops, topical song & story workshops, dance, vocal & instrument classes and plenty of children's entertainment. Come join the fun on the banks of the Fox River at beautiful Island Park. Geneva restaurants create an array of specialties under an outdoor tent at the “Flavor Fare” partnered with wine and live musical entertainment. The Flower Market offers fun fall decorations including pumpkins and gourds. A Fine Arts and Crafts Show, horse-drawn carriage rides and several exceptional wine tasting and dinner events also take place around the historic downtown. Kids are invited to wear their Halloween costumes and trick or treat in downtown Geneva. Participating restaurants and shops will have a sign in their window and offer treats. 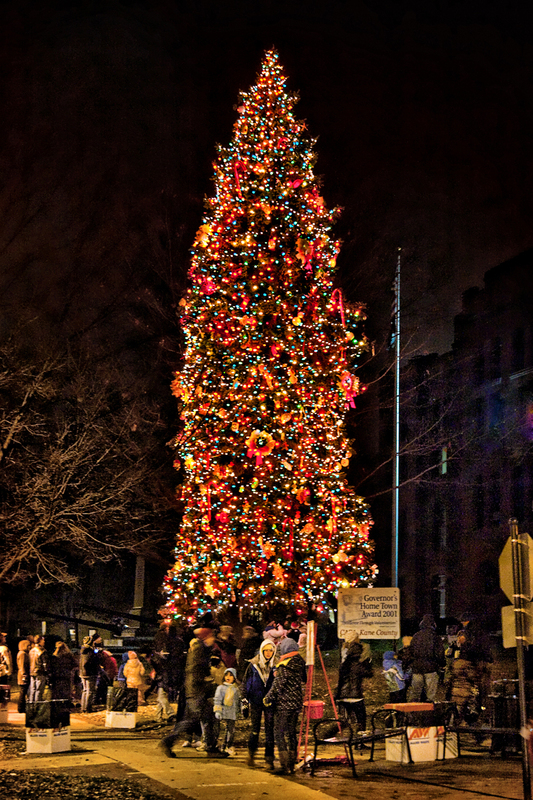 The Christmas Walk is held from 6 - 9:30 p.m. on Fri., Dec. 6. It begins at the Kane County Courthouse square on Third Street in downtown Geneva. Join us for the arrival of Santa Lucia, delivery of the first candy cane of the season, lighting of the Great Tree and more family fun. The Holiday House Tour is held Friday and Saturday. Enjoy a traditional tea and visit five unique homes decorated for the holidays. To purchase tickets for the House Tour, visit the Geneva Chamber of Commerce website. This event may sell out, so order your tickets early. Listen to beautiful holiday music in the setting of four of Geneva’s historic churches. You will be treated to a variety of folk songs, instrumentals and Christmas classics. Each of the Steeple Walk performances lasts about 20 minutes. The event will be held from 2 - 4:30 p.m.
Find a list of events that have been approved to be held in the City of Geneva.